The XC Grand Prix series combines the essential ingredients of real running: varied terrain, natural surfaces and plenty of food. Run a few or complete all ten races in the series. Each XC is preceded by a kids’ race about 1 km in length. All races are followed by social mixing, soup and desserts. The soup, buns and beverages are provided. You bring the dessert. Grand Prix qualifying races are about 8 km in length. A 4 km fun run is offered at each event. Only in the 70+ age category do individual 4K results count toward the Grand Prix. The Confederation Relay is a 3-person relay, each runner completing a 4 km course. For the cross country novice, we recommend the early season River Park, Confederation Park and Okotoks courses. PLEASE BRING A DESSERT and a bowl, spoon & mug. Keep it green and help us reduce the volume of waste generated at each race. General fee $12.00, Current CRR club members $8.00, Students $6.00. Children 12 & under – Free. Parent must complete entry & sign waiver for each child. Soup, desserts and beverages to all participants. Awards to be presented to top three in each age category at the end of the series banquet on March 23, 2019. Trophies to overall male and female series champions. Best six finishes in all but the Confederation Relay are counted toward Grand Prix standings. Categories: Under 18, 18-29, 30-39, 40-49, 50-59, 60-69, 70 plus (male and female). See CRR web page for complete rules and tie-breaking criteria. Runner’s age category is determined by age on date of first race of the season: Sept. 29, 2018. 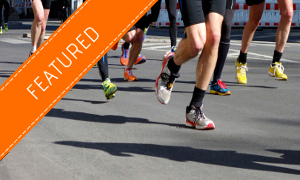 *Iron Persons may choose to substitute a volunteering stint as a Course Marshal or Finish Line Volunteer in lieu of running ONE of the 10 events. See CRR web page for Iron Person qualifications.